Xavier Cunningham, 10, was playing with his friends in his backyard in Harrisonville, Missouri, when he fell on a meat skewer that went through his head. Miraculously, the skewer missed all of his vital organs! 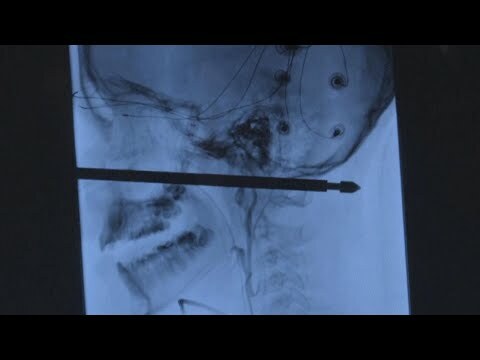 Dr. Koji Ebersole is the brain surgeon at the University of Kansas hospital who was tasked with getting the skewer out. Just five days later, Xavier is doing just fine, and is expected to make a full recovery.